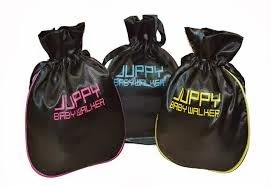 When my son started showing signs of walking around 11 months I was really excited and now they have what is called the juppy this baby walker is amazing what is the juppy you ask?? It is a baby walker that helps baby and parents in the task of giving your baby the confidence to walk on their own. This walker comes in black-blue, black-pink, and black-gold!! Get Proven Results With The Juppy Because Your Baby Is Worth It! When it comes to reaching fine-motor and gross-motor milestones, there's a wide range of normal for toddlers. Consider learning to walk! some tots hit the ground running while others take their time. The Juppy is an ideal tool for you and your toddler because you will find it instrumental regarding helping your baby build confidence and safely learn to walk while you yourself are always in a comfortable standing position. The Juppy is designed for safety and comfort for both you and your baby.